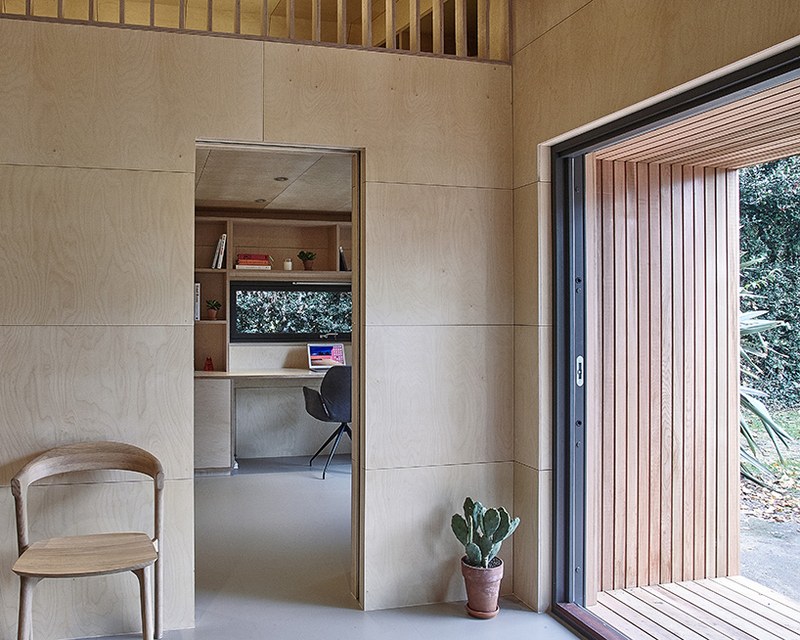 just over a decade ago, amira idris-town, lee town and matthew kettle of IPT architects set up a side project designing prefabricated studios and offices with a minimal carbon footprint. the team wanted to create sustainable garden buildings that could be configured to fit individual requirements. known as ‘ecospaces’, the structures were built off-site, and delivered and installed quickly and at a relatively low cost. 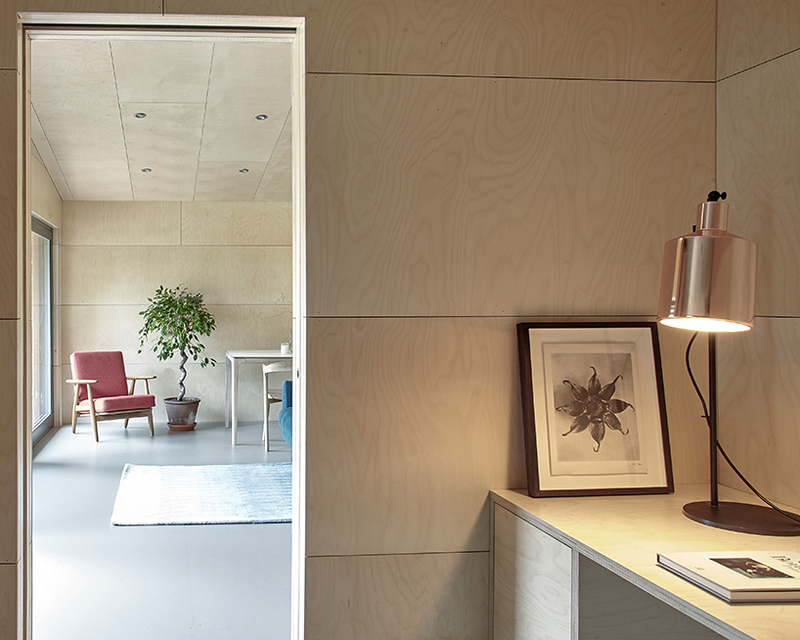 today, ecospace’s founders have extended the scope of their practice to compact dwellings, holiday homes, and even classrooms. 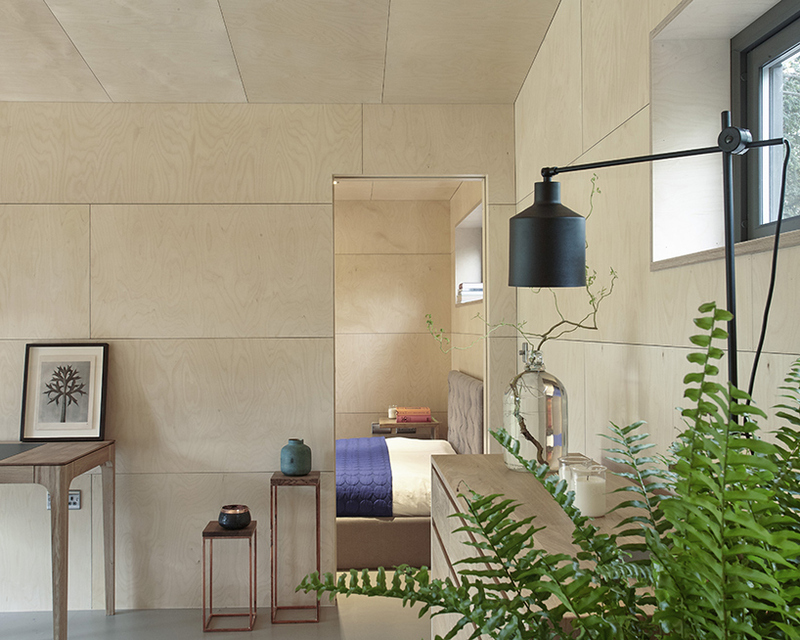 celebrating one of its most recent projects, and offering a look inside one of its prefabricated dwellings, the design team has collaborated on a photoshoot documented by fashion photographer ben benoliel. the interiors — which have been styled with pieces from adventures in furniture, laboratory perfumes, and uluntu — demonstrate the design’s functional and aesthetic possibilities. the concept seeks to combine the discipline of architecture and the skills of craftsmanship, with sustainable methods and materials. 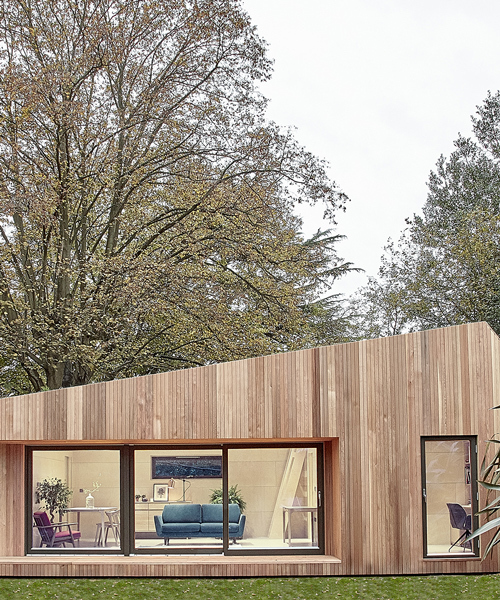 as the units are modular and re-configurable, completed buildings range from a simple one-person garden-office to a multi-room complex with a fitted kitchen, shower room, and sleeping area. 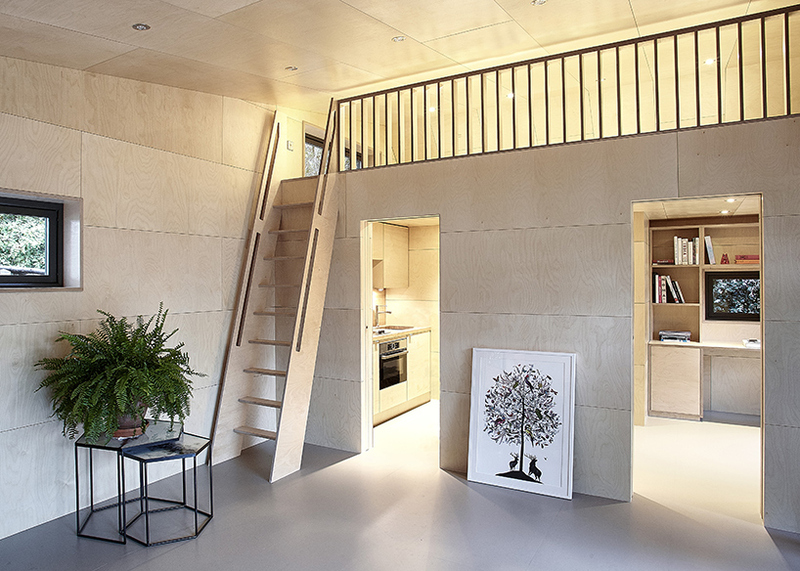 optional extras include underfloor heating and sedum-planted living roofs. additional renewable-energy features, such as solar panels, ground and air-source heat pumps, wind turbines, biomass boilers, and log-burning stoves can also be installed. ecospace also negotiates any necessary planning permission and building regulations needed to appease local authorities. the structures can be assembled in as little time as five days, and, with minimal maintenance, an ecospace can be expected to last for up to 60 years. 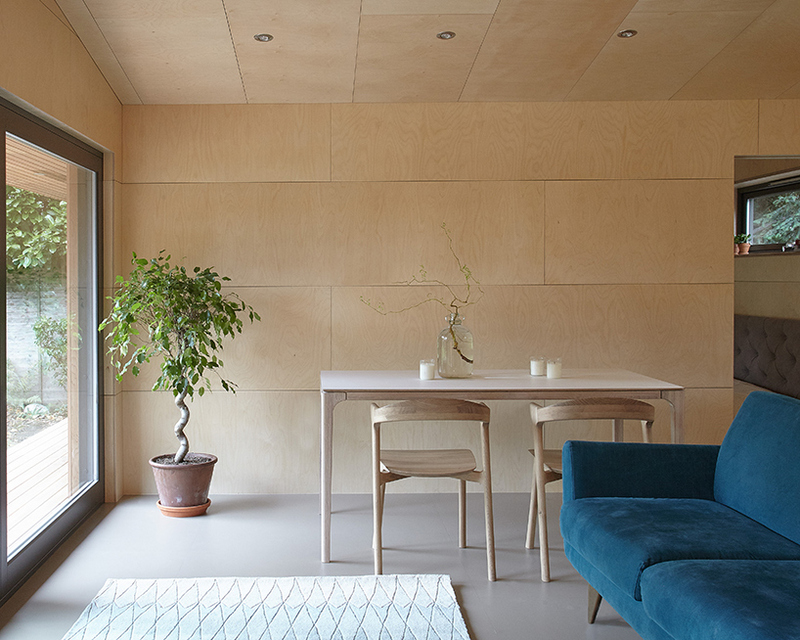 with prices starting at £9,950 + VAT (approximately $12,500 USD), ecospaces typically employ structurally insulated panel systems (SIPS) clad with renewable thermally insulated cedar wood. That starting price of 10.000 pounds is for a 2.5x2m box. Taking a look at their website, the house in the pictures above looks like it will be in the 100.000 pound range – not so cheap any more.